A wave of recently declassified UFO files and statements of high rank officials are slowly turning the UFO phenomenon into reality. On December 2012, the Russian prime-minister Dimitri Medvedev gave a live interview aired simultaneously on five television channels. After that, the Russian ex-president revealed to a journalist that every leader of the Kremlin is handed two folders with classified information regarding the visit of extraterrestrial beings. At that time, Medvedev’s statement was a worldwide premiere, since it was the first time when a high level official publicly acknowledged the existence of extraterrestrial civilizations during the presidential mandate. “Almost 100 believable confessions remain inexplicable at the moment. However, the CIA monitoring will continue and no reports will be made public.”, the report notes. 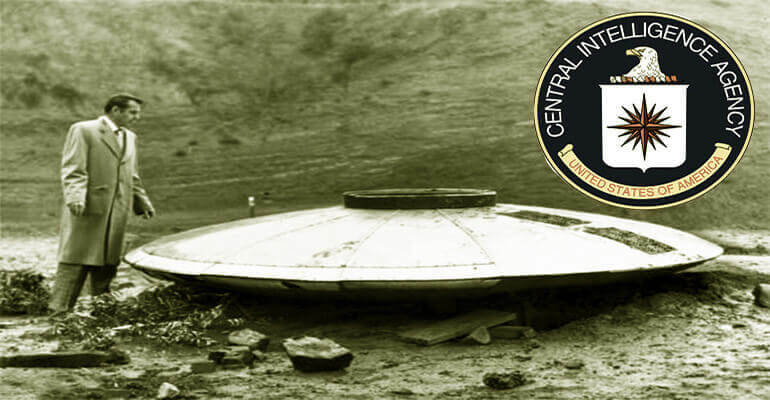 To the disappointment of ufologists around the world, the declassification of those 10 documents coincides with the relaunch of the “X Files” series and apparently those documents do not contain any information regarding crashed UFOs, encounters or kidnappings. Conspiracy theorists believe that CIA’s decision to make these documents public does not coincide with the relaunch of the new X Files series, but rather are an attempt to warm-up the audience for later disclosures. “Apparently, the CIA used the rebirth of the X Files franchise to remind the people that the agency has agents investigating these cases.”, declares Stephen Basset, executive director of Paradigm Research Group, an organization that militates at the White House in order for the government of the United States to admit that aliens are real. If the world will eventually accept the UFO reality we are yet to find out, but hopefully it won’t take long until our governments will spill the beans about the existence of extraterrestrials.